Follow us, Like us & Re-Pin us! Over the past few months we have been building our social media presence please take time to visit us on Twitter, Pinterest and Facebook today. Join us on Facebook for the latest promotions and home organization tips! Also post any comments and questions you may have. Reviews from our Great Customers! 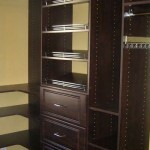 Our entire team at Elite Closets looks forward to and enjoys reading customer testimonials. 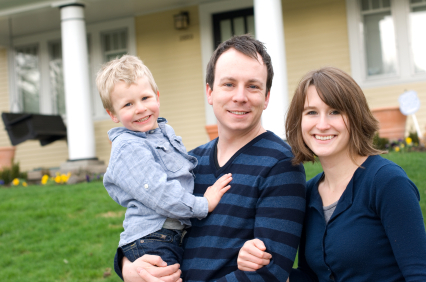 We aim to always offer top notch service and really enjoy working with our amazing clients! Your reviews are very much appreciated. We would like to share some of our recent feedback from clients with you here. A great big THANK YOU from our team here and we look forward to working with many more great clients like you! One of the key steps to home organization is to get rid of the items that are just sitting around. One good rule of thumb is that if it hasn’t been used in a year, it’s probably not needed. Use three garbage bags in each room- one to keep, one to toss, and one that can go either way. Sort through all of your items and put them into their appropriate bags. Once the sorting is completed, go through each item in the “either way” bag and decide how important that item really is to you. If you absolutely can not live without it, then put it in the keep bag. Everything else needs to be tossed or given to charity. Disposable containers make great storage bins for those small items around the house. Use coffee cans to store nuts and bolts, screws, and other loose hardware in the garage. Baby food jars and mint tins work great for extra storage in drawers. Kleenex boxes are a great place to put those loose shopping bags. Other container ideas include glass jars, baby wipe containers, old lunch boxes, and large cans. Using these items can effectively reduce clutter and keep all of your little items organized. 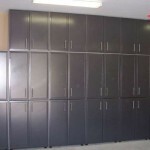 Look for furniture that has drawers for storage. A coffee table with drawers is a great place to store magazines, coasters, and remote controls. An end table with shelves can serve as a display case for collectibles. If your furniture does not have drawers or shelving, use decorated storage bins underneath. If your bed sits up off the floor, use the space underneath for bins that hold clothing and bulky blankets and comforters. If space is limited, why not go up? Floor-to-ceiling shelving units are perfect for small areas with limited space. The top shelves can be used for all of those off-season items as well as luggage. 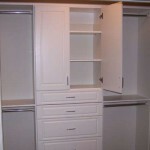 Organize your closet so off season items can be stored on the top shelf and rotated seasonally. Adding a drawer tower will give you useful drawer space for small items. 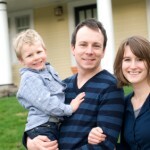 Contact us for a free in home consultation and we will give you ideas to maximize your space! 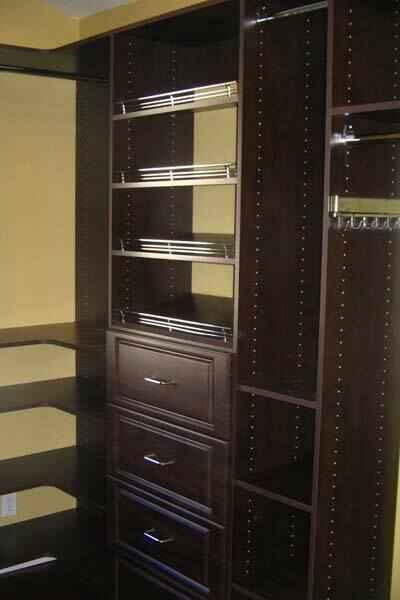 One final note on home organization, maximize every space in your home for storage and keep everything in its place. With just a few minutes a day, you can keep your home organized and clutter-free. With the new year off to a great start, it seems organization is on the minds of many. 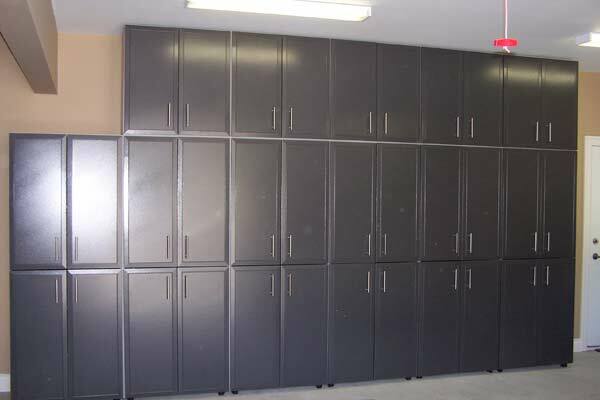 We have been busily installing custom closets and storage solutions for many of our customers and we wanted to share some photos from our recent projects. 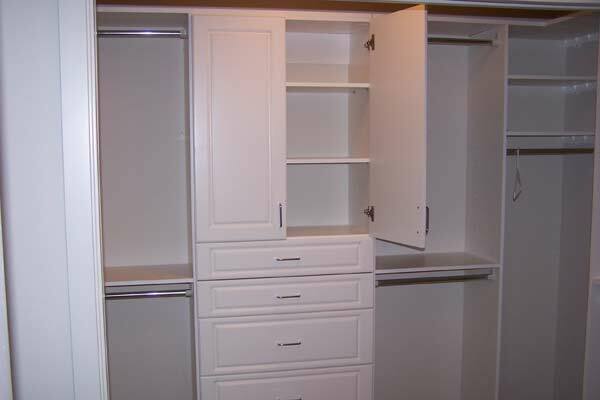 What a great way to start off a new year with an organized and de-cluttered closet!